Hi sweeties! How's life? I'm really busy with university so I can't update the blog as much as I would like to. Today I want to show you some pictures of a Sunday casual outfit; on Saturday I wore I pair of really uncomfortable wedges and I got a really painful blister, that's because the day after I decided to wear my new pair of Converse. I'm not a " sneakers " person at all but I needed a pair of sporty, casual, white shoes and so I've chosen the Converse even if I wasn't so convinced; I have to admit that I really like how they look on me! Finally I could wear again my lovely studded leather jacket and then I've opted for an adorable polka dots ( great season trend! ) light sweater that makes my sporty outfit a little bit more feminine. 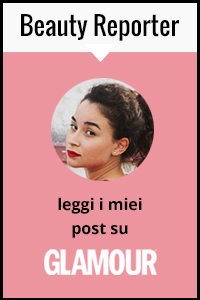 Finalmente ho potuto re-indossare la mia adorata giacca di pelle borchiata e per rendere l'outfit un pò più femminile ho optato per una dolcissima maglia a pois ( tra l'altro grande trend di stagione! ) che fa parte di una serie di nuovi acquisti che vi mostrerò in questi giorni. great outfit!the jacket is perfect! Che carina la magliaaaaaaaaa! ^_? You look so pretty in polka dots and love that moto jacket ! super cute:) you really are pretty!! I'm not much of a sneaker person either - I only wear my neon flat sneakers and my treadmill-friendly Adidas. You look really cute in these though! Really like your casual and natural look, your jacket is great +polka dots is a great combination, my new post is about polka dots in another style also !! have a nice dar dear! ti seguo con molto piacere!! Bella la giacca e la borsa!! A presto cara! Pretty! Love the mix of coral and red together...my FAVE color stories for spring! Fabulous look! Cute outfit, really like the convers which you incorporated. I'm in love with polka dots, and the shirt is lovely! I'm going to say that your words are like honeycomb .... drip .... wisdom in what you say: I wish to continue to give us joy with your words .... you know which words always bring itself a learning And what it says ... the beauty and simplicity of your writing will always drawn a bit of you ... it was like down in part of your heart that carries your purest feelings of the woman which thou wast created in its most sincerity and pure in its fragelidade what you were formed with honor. I came from far away, so far, only your heart can reach this distance and this smile that tomorrow ask me to give you. I understand your surprise at what I say. But what surprises may be better than the enchanted valley I brought for you? Yes, I know that your are missed more than meet all your best circumstances. But the longing to have it always be greater than we have at present. For every miss is incomplete by itself. But ... What are you worth more to remember than to live? Most wish to complete your homesickness than fill your day with new opportunities? I also came from afar to marvel at its beautiful and wise words that reached my heart. I leave you a bj purest love in your little heart .... And a great week. your bag is so amazing! adoro l'anello ed il giubbotto! Good look for a walk!! !